The genre-bending and electrifying musical stars Tyler Michaels King in the titular role of Hedwig and Jay Owen Eisenberg stars as Yitzhak. Jendeen Forberg, Jason Hansen, Mayda Miller, and Jakob Smith are the Angry Inch band. (Minneapolis/St. Paul) Theater Latté Da announces the cast for John Cameron Mitchell’s genre-bending, fourth-wall-smashing sensation Hedwig and the Angry Inch. Winner of 2014 Tony award for Best Musical Revival, Hedwig and the Angry Inch features music and lyrics by Stephen Trask. Annie Enneking and Theater Latté Da Artistic Director Peter Rothstein co-direct the production with Music Director Jason Hansen. Performances begin March 27 at the Ritz Theater (345 13th Avenue NE in Minneapolis). Single tickets are on sale now and can be purchased at Latteda.org or by calling 612-339-3003. Peter Rothstein co-directs Hedwig and the Angry Inch with Annie Enneking, who shares, “I’m obsessed with notions of transcendence, the problems of love, and the vitality behind radical self-definition.” Rothstein adds, "I have long admired this radical piece of musical theater and am thrilled to re-imagine it with this extraordinary team of artists." The production stars Tyler Michaels King as Hedwig and Jay Owen Eisenberg as Yitzhak. Michaels has starred in several productions with Theater Latté Da including Assassins, Peter and the Starcatcher, Sweeney Todd, and Cabaret. This production marks Eisenberg’s debut with Latté Da. A director, actor, and teaching artist, he has appeared in productions at Children’s Theatre Company, Guthrie Theater, and Open Eye Figure Theatre, among others. Joining them live on stage as the Angry Inch band are Chicago-based guitarist Jakob Smith, bassist and multi-musician/artist/producer Mayda Miller, and drummer Jendeen Forberg, founder and leader of Wolverines Big Band. Hedwig and the Angry Inch features scenic design by Michael Hoover, costume design by Alice Fredrickson, lighting design by Mary Shabatura, sound design by Alex Ritter, and properties design by Abbee Warmboe. Jendeen Forberg, Jason Hansen, Mayda Miller, and Jakob Smith are the Angry Inch band. Sally Wingert stars as Desireé Armfeldt, Photo by Emilee Elofson. A Little Night Music stars Mark Benninghofen, Grace Chermak, Bradley Greenwald, Elizabeth Hawkinson, Susan Hofflander, Riley McNutt, Rodolfo Nieto, Britta Ollmann, Sally Wingert, and Mabel Weismann. Performances begin January 23 and run thru March 3, 2019 at the Ritz Theater. (Minneapolis/St. Paul) Rehearsal are underway for Stephen Sondheim’s romantic comedy A Little Night Music. Winner of three Tony Awards including Best Musical, A Little Night Music features a book by Hugh Wheeler with music and lyrics by Stephen Sondheim. Theater Latté Da Artistic Director Peter Rothstein directs the production with Music Director Jason Hansen and choreography by Heidi Spesard-Noble. Performances begin January 23 at the Ritz Theater (345 13th Avenue NE in Minneapolis). Single tickets and mini season ticket packages are on sale now and can be purchased at latteda.org or by calling 612-339-3003. “I’ve wanted to stage this masterwork for years, but was holding off for the perfect cast,” says Director Peter Rothstein. The production reunites two beloved Twin Cities actors, Sally Wingert (Desirée Armfeldt) and Mark Benninghofen (Frederick), who came together for Theater Latté Da’s award-winning productions of Sweeney Todd and Six Degrees of Separation. Wingert most recently appeared on the Ritz Theater stage as the fastidious Librarian in Latté Da’s highly-successful production of Underneath the Lintel. The duo is supported by an all-star cast including Bradley Greenwald, Elizabeth Hawkinson, Susan Hofflander, Riley McNutt, Rodolfo Nieto, Britta Ollmann, and Mabel Weismann. A Little Night Music features scenic design by Joel Sass, costume design by Rich Hamson, lighting design by Marcus Dilliard, sound design by C Andrew Mayer, and properties design by Abbee Warmboe. Theater Latté Da, with support from the McKnight Foundation, envisions a shared space for Twin Cities theater companies and scenic artists to utilize—from full-service scene shop to work space for projects large and small. (MINNEAPOLIS/ST. PAUL) Theater Latté Da announces the opening of their new scene shop in Northeast Minneapolis. With support from a grant from the McKnight Foundation, the Twin Cities-based theater company is establishing the space as a shared scene shop with the hopes it will be a resource for other theater companies, scenic artists, and even individuals to utilize for set building, carpentry, woodworking, welding, small paint projects, and more. Theater Latté Da’s vision of a shared space for scenic artists was conceived about a year ago with the rising cost of rent in the Twin Cities area, and a desire to provide a shared resource for the greater Twin Cities theater community. With the support of the McKnight Foundation, Theater Latté Da is able to provide the shared space at below current market prices, as well access to shared resources in the form of talent, tools, and equipment. The sharing of space and know-how isn’t the only goal of the scene shop. It would likely result in a reduction of material waste. That’s the hope for Rothstein, as well as Latté Da’s Technical Director Bethany Reinfeld. The opportunity to reuse platforms or provide wall stock—panels for walls in other theater productions—built for a given production could be repurposed in another production with another theater company, greatly reducing the amount of lumber needed. More than materials are sharable and Technical Director Bethany Reinfeld plans to offer assistance, training, and supervision to those who wish to use the scene shop. Earlier this season, Mixed Blood Theater partnered with Theater Latté Da to build, paint, and install the set for Is God Is and will do so for Roe in the coming months. Located at 8040 University Ave NE, Theater Latté Da’s scene shop is open Monday-Friday 9am to 5pm and weekends by appointment. More information including daily or weekly rates and other pricing can be found at Latteda.org/scene-shop or by contacting Bethany Reinfeld at bethany@latteda.org. Critics are falling in love with this winner of 8 Tony Awards including Best Musical, Once is an artistic triumph about the power of music to connect us all. Performances have been extended through October 27 at the Ritz Theater. (Minneapolis/St. Paul) Theater Latté Da announces extended performances for the regional premiere of Once. Winner of 8 Tony Awards including Best Musical, Once features a book by Enda Walsh with music and lyrics by Glen Hansard and Markéta Irglová. Theater Latté Da Artistic Director Peter Rothstein directs the production with Music Director Jason Hansen and choreography by Kelli Foster Warder. Performances run thru October 27 at the Ritz Theater (345 13th Avenue NE in Minneapolis). Single tickets and season tickets are on sale now and can be purchased at latteda.org or by calling 612-339-3003. On the streets of Dublin, an Irish songwriter and a Czech immigrant are drawn together by their shared love of music. Over the course of one fateful week, their unexpected friendship and collaboration quickly evolves into a powerful but complicated love story, propelled by emotionally charged music. Winner of 8 Tony Awards including Best Musical, Once is an unforgettable show about the power of music to connect us all. “Once is a sweet yet complicated modern-day love story, but at the heart of it is the power of music to transcend barriers based on culture, language and class,” says Director Peter Rothstein. To launch Theater Latté Da’s 21st Season, Rothstein directs two charismatic Twin Cities actors, Ben Bakken and Britta Ollmann. Ben Bakken most recently appeared on the Ritz Theater stage as John Diamond in the highly-successful World Premiere of Five Points. Britta Ollmann returns to Theater Latté Da after appearing in Peter Rothstein’s critically acclaimed production of Ragtime. Previous Latté Da credits include Into the Woods, Violet, and Steerage Song. The duo is supported by an ensemble of talented actors including Jay Albright, Francesca Dawis, Martin L'Herault, Molly Sue McDonald, Antonia Perez, Dan Piering, Matt Riehle, Silas Sellnow, Reed Sigmund, and Suzanne Warmanen, all of whom lend unique talent in performing various instruments on stage. Once features choreography by Kelli Foster Warder, scenic design by Michael Hoover, costume design by Mathew LeFebvre, lighting design by Grant E. Merges, sound design by Kevin Springer, and properties design by Abbee Warmboe. Winner of 8 Tony Awards including Best Musical, Once is an artistic triumph about the power of music to connect us all. Once stars Ben Bakken and Britta Ollmann, and features Jay Albright, Francesca Dawis, Martin L'Herault, Molly Sue McDonald, Antonia Perez, Dan Piering, Matt Riehle, Silas Sellnow, Reed Sigmund, and Suzanne Warmanen. Performances begin September 12 and run thru October 21, 2018 at the Ritz Theater. (Minneapolis/St. Paul) Rehearsals for Theater Latté Da’s Once are underway. Winner of 8 Tony Awards including Best Musical, Once features a book by Enda Walsh with music and lyrics by Glen Hansard and Markéta Irglová. Theater Latté Da Artistic Director Peter Rothstein directs the production with Music Director Jason Hansen and choreography by Kelli Foster Warder. Performances begin September 12 at the Ritz Theater (345 13th Avenue NE in Minneapolis). Single tickets and season tickets are on sale now and can be purchased at latteda.org or by calling 612-339-3003. Theater Latté Da hosts the National Alliance for Musical Theatre (NAMT)’s New Work Roundtable from Thursday, July 19 – Friday, July 20 as part of this year’s NEXT Festival. Four dynamic new works from Angelica Cheri and Ross Baum, Jelloslave cellists Michelle Kinney and Jacqueline Ultan, Michael Gruber, Harrison David Rivers, Matt Spring, Nikki Swoboda, Ryan Underbakke, and Max Wojtanowicz that stretch the boundaries of musical theater, will receive workshops culminating in eight public readings. To Let Go and Fall features the talents of Mark Benninghofen, John Jamison, JuCoby Johnson, Tyler Michaels, Derek Prestly, and Andre Shoals. Gun and Powder features the talents of Matt Bailey, Ivory Doublette, John Jamison, Eben Logan, Thomasina Petrus, T. Mychael Rambo, Tres Searle, Traci Allen Shannon, Kendall Anne Thompson, and Max Wojtanowicz. 7 Shot Swing features the talents of Avi Aharoni, James Detmar, Jane Froiland, Brant Miller, Hope Nordquist, Kori Pullam, and Jon-Michael Reese. Pansy features the talents of Max Wojtanowicz. (Minneapolis/St. Paul) Theater Latté Da (TLD) announces the casts for this year's NEXT Festival. Each new work will each receive workshops and public presentations beginning Sunday, July 15. The NEXT Festival is part of TLD’s NEXT 20/20, a robust new work initiative aimed at developing 20 new musicals or plays-with-music by 2020, shepherding many of them to full production. Past NEXT Festivals have offered audiences a first look at new musicals that have gone on to full production including C. (2015) and Five Points (2018). The first piece in the festival is To Let Go and Fall by Harrison David Rivers with music by Jelloslave cellists Michelle Kinney and Jacqueline Ultan. To Let Go and Fall is the story of Todd and Arthur, two former ballet dancers who reunite at New York’s Lincoln Center Plaza having not seen each other for more than 25 years. This beautifully-told story takes us through the lives of both men, their choices, regrets, and coming to terms with age, illness, and sexual identity. To Let Go and Fall will be directed by Peter Rothstein with music direction by Michelle Kinney and Jacqueline Ultan and features the talents of Mark Benninghofen, John Jamison, JuCoby Johnson, Tyler Michaels, Derek Prestly, and Andre Shoals. Public presentations of To Let Go and Fall are Sunday, July 15 at 2:00 pm and Monday, July 16 at 7:30 pm at the Ritz Theater. The second piece in the festival is Gun and Powder with book and lyrics by Angelica Cheri and music by Ross Baum. Gun & Powder is inspired by the true story of Mary and Martha Clarke (book writer Angelica Cheri’s great aunts), African American sisters who passed for White and were notorious outlaws. Set in Post-Emancipation Texas, the musical follows Mary and Martha's journey of defying racial boundaries and seizing what rightfully belongs to them, by any means necessary. They are successful at their charade until they each find themselves in love, but with two very different men. Nicole A. Watson will direct with music direction by John Lynn and features the talents of Matt Bailey, Ivory Doublette, John Jamison, Eben Logan, Thomasina Petrus, T. Mychael Rambo, Tres Searle, Traci Allen Shannon, Kendall Anne Thompson, and Max Wojtanowicz. Public presentations of Gun and Powder are Friday, July 20 at 7:30 pm and Monday, July 23 at 7:30 pm at the Ritz Theater. The third piece receiving support during the NEXT Festival is 7 Shot Swing by Ryan Underbakke and Matt Spring. Physical theater meets cinematic staging in this mash-up of world myths and the Roaring Twenties, re-imagining Sun Wukong and Brer Rabbit in an action-packed heist gone wrong, the Osiris myth of Egypt as a Film Noir detective tale, and the Greek gods as a crime family rising to power. 7 Shot Swing will be directed by Ryan Underbakke and features the talents of Avi Aharoni, James Detmar, Jane Froiland, Brant Miller, Hope Nordquist, Kori Pullam, and Jon-Michael Reese. Public presentations of 7 Shot Swing are Thursday, July 26 and Saturday, July 28 at 7:30 at the Ritz Theater. The final piece of the Festival is Pansy, written and performed by Max Wojtanowicz. Pansy is devised by Nikki Swoboda and Max Wojtanowicz, with music and additional lyrics by Michael Gruber. Los Angeles, 1940. The last remaining performer of the Pansy Craze holds court at a nightclub frequented by Hollywood stars, entertaining straight and gay audiences alike with original songs. A tribute to the oft-forgotten crusaders of the gay underground cabaret movement of the 1930s, Pansy is a story about singing out when the world demands your silence. The piece is inspired by Tyler Alpern’s research and book Bruz Fletcher: Camped, Tramped & A Riotous Vamp. Pansy will be directed by Nikki Swoboda with music direction by Bradley Beahen and features the talents of Max Wojtanowicz. Public presentations will be presented as a late-night cabaret on Thursday, July 26 and Saturday, July 28, 2018 at 9:30 pm. As part of this year’s NEXT Festival, Theater Latté Da is proud to host the National Alliance for Musical Theatre (NAMT)’s New Work Roundtable from Thursday, July 19 – Friday, July 20. NAMT is a national membership organization committed to nurturing the creation, development, production, and presentation of new and classic musicals and provides a forum for the sharing of resources and information relating to the professional musical theatre community. The New Work Roundtable will bring together musical theater producers, administrators, and artists from across the country for a two-day gathering featuring panel discussions and special events. The Roundtable will focus on best practices for building regional new work development programs, fostering local talent and building community among local artists and sharing ways to maximize local partnerships and engage communities around new work. Twin Cities-based panelists will include Ben Cameron, President of the Jerome Foundation, Rod Kaats, Producing Artistic Director, Ordway Center for the Performing Arts, playwright Harrison David Rivers, Ben Krywosz, Artistic Director, Nautilus Music-Theater, and others. Theater Latté Da is an award-winning Twin Cities musical theater company that combines music and story to illuminate the breadth and depth of the human experience. The company seeks to create new connections between story, music, artists, and audience by exploring and expanding the art of musical theater. Latteda.org. All presentations will be held at the Ritz Theater. Readings begin July 15 and run through July 28 at the Ritz Theater in Minneapolis. (Minneapolis/St. Paul) Theater Latté Da (TLD) announces the slate of artists and projects for this year's NEXT Festival. Four dynamic new works from Angelica Cheri and Ross Baum, Jelloslave cellists Michelle Kinney and Jacqueline Ultar, Michael Gruber, Harrison David Rivers, Nikki Swoboda, Ryan Underbakke and Matt Spring, and Max Wojtanowicz will each receive workshops and public readings beginning Sunday, July 15. The NEXT Festival is part of TLD’s NEXT 20/20, a robust new work initiative aimed at developing 20 new musicals or plays-with-music by 2020, shepherding many of them to full production. Past NEXT Festivals have offered audiences a first look at new musicals that have gone on to full production including C. (2015) and Five Points (2018). To Let Go and Fall will be directed by Peter Rothstein with music direction by Michelle Kinney and Jacqueline Ultan. Public readings of To Let Go and Fall are Sunday, July 15 at 2:00 pm and Monday, July 16 at 7:30 pm at the Ritz Theater. Nicole A. Watson will direct with music direction by John Lynn. Public Readings of Gun and Powder are Friday, July 20 at 7:30 pm and Monday, July 23 at 7:30 pm at the Ritz Theater. 7 Shot Swing will be directed by Ryan Underbakke. Public performances of 7 Shot Swing are Thursday, July 26 and Saturday, July 28 at 7:30 at the Ritz Theater. Pansy will be directed by Nikki Swoboda with music direction by Bradley Beahen. Public readings will be presented as a late-night cabaret on Thursday, July 26 and Saturday, July 28, 2018 at 9:30 pm. All public readings will be presented at the Ritz Theater. My first time seeing actor Sally Wingert, her energy carried the show. She was Madame Arcati—the spry, exuberant, and eccentric medium in the Guthrie's Blithe Spirit this past October. A month after, I saw her in the Guthrie's Indecent as one of the supporting cast members who dared to show God of Vengeance to the world in the 1900s. Then came her spring performance in the Guthrie's Guess Who's Coming to Dinner? Wingert goes from show to show without stopping, and not only is she a mainstay at our blue-hued theater, she's a mainstay for the entire Twin Cities. Consequently, when we talked on the phone about her upcoming show Underneath the Lintel at Theater Latté Da (May 30-July 1), I tried to stick to the play instead of demanding her life story and asking star-struck questions. Underneath the Lintel is about a librarian who receives a book 113 years overdue and goes on a grand adventure across the world to figure out who checked it out. (What else would one do in that situation?) Perhaps I held back too much when I talked with her, and maybe I don't have the complete picture of her thoughts. But even with the short conversation we had, it's apparent how much she loves the play, her work, Theater Latté Da, and the Twin Cities. When I waffled on whether to call her a local actor—she has had stints in places like Broadway and London—she gently but firmly cut in to say, "I'm a local actor. I occasionally work out of town, but this is my home." Had you read or seen Underneath the Lintel before? I have never seen it before, and I had not read it prior to beginning to work on it. We did a workshop last summer with Glen Berger [the playwright] and Frank London [whom Latté Da commissioned to write new music for the play], and that was the first time I had first hand knowledge of it. I had sure heard about it. Both of the men that had performed it in new work, but T. Ryder Smith and David Chandler are actors that I've worked with, and I remember them talking about how important it was to them and how they loved that show. Almost all of the play's performances feature a man as the librarian. How did you come to be the librarian, and did you have any thoughts on that? A few years ago, a couple years ago, Glen adapted it. ... He had heard about a production where a woman had done it, and I don't remember this story although he did talk about it, and he thought, yeah, that works, with very little changes. Some of the gender pronouns are changed and all of that, but not much has changed, and to be honest with you, I cannot imagine it as a man now. I can't at all. It's interesting. I think we can blast gender off the map kind of in a way now. I do. Maybe we always kind have, but in this day and age, we can. But to speak to Peter (Rothstein, Latté Da artistic director) casting me, I think he was looking for a project for us to do. I mean we have a lot of things to talk about, and he's a dear friend of mine as well, and I think he enjoys working with me as well, so we're always kind of looking projects to do, things to do. He was interested in Underneath the Lintel because Glen the playwright talks about his inspiration for the entire piece was in klezmer music. Any other thoughts on gender roles and theater? We're just behind. The notion of fluidity, inclusivity. I just think women are perhaps just demanding to be heard more, and perhaps the climate is more conducive to hearing what we have to say. But it's not just a two-gender deal, I think of the whole spectrum, and i think all of that can sort of ... There's just a lot of places where fluidity is interesting. I think it adds to the conversation; I think it can deepen the ideas, where we can go outside the box, giving everyone a chance. It's a learning curve we have to accept. Sally Wingert with musical director Dan Chouinard rehearsing "Underneath the Lintel." Photo by Sally Wingert stars in the one-person play "Underneath the Lintel," showing at Theater Latté Da, May 30-July 1, featuring new music by Frank London. Photo by Emilee Elofson. Do you relate to the character at all? This is probably my limitations as an actor because much of her rhythm is like my rhythm, but she is very much not me. This is not like Sally, although people will sure see me in it because that's what we do. We look for meaning, we look for similarity, and that's really fun. She has something that she really wants to share, and that is completely, you know, that's me. One of the reasons , the chief reason I love/hate, one of the reasons I love theater, is I absolutely love interaction with a larger community, a larger group of people, i.e. an audience. It's thrilling to me that we all come together and leave having shared something. Reading a bit about the play's plot, the librarian seems stuck in the beginning. Do you agree? I think that on some level, she has an awareness of being stuck, but I think this journey slightly sneaks up on her, one, and two, she's not self-actualized in that way of, "I'm gong to have an adventure in my life." She doesn't put on her adventure pants and say, "Let's go have fun, let's go learn." She's a librarian, and she's officious and she has all kinds of fact. When this overdue book happens, she's appalled and then becomes slightly curious, and that leads to more curiosity, leads to more discoveries, and all of a sudden her toe is dipped in the larger world, into experience and life, and she finds herself going on, not only accepting the adventure, but being really stimulated about it. It's mine to mess up because it's a beautiful play, and the design's really cool, and the musicians (music director) Dan Chouinard and Natalie Nowtski are astonishing, so if it isn't good, you can blame me and you should. How is doing a one-woman show? Not the least of which, it's somewhat of an endurance contest, you know? There's a lot of energy that is being sent out. And in the rehearsal hall, although I have an astonishing stage management team and I mean really, like, please say that—it's an astonishing team, they're so kind, and of course Peter, they're really attentive and enrapt and listen well, but they can't begin to approximate the energy I hope to receive from the audience. By the end of the evening, I will no doubt be ready to sort of drop. It would be lovely for me if you could mention the design team which is pretty fantastic and that Latté Da is a really fantastic theater to work at. The piece can make one feel pretty vulnerable—being the only speaking words on stage can be a lonely thing—but when you're at Latté Da, you never feel lonely. I have one more general house-keeping question: How long is the play? About 90 minutes, no intermission. So pee before you sit down. [laughs] 'Ever graceful, ever the lady,' she says. world premiere of TO LET GO AND FALL. Latteda.org/season-tickets or by calling 612-339-3003. (MINNEAPOLIS/ST PAUL) In September, Theater Latté Da will open Season 21 at the Ritz Theater in Northeast Minneapolis. The highly-celebrated company will launch a season that encompasses a continued commitment to Stephen Sondheim’s work, receives an Off-Broadway debut of a Latté Da original, rocks the Ritz Theater with a Tony Award-winning musical, embarks on an exciting collaboration, premieres a beautiful new play with dance, and continues its robust commitment to the development of new musicals and plays with music. “I am thrilled to collaborate with many of the Twin Cities finest artists on a slate of dynamic, adventurous musicals and the world premiere of a beautiful new play with music by Harrison David Rivers,” says Founding Artistic Director Peter Rothstein. The season opens September 12 with the regional premiere of ONCE by Enda Walsh with music by Glen Hansard and lyrics by Markéta Irglova. On the streets of Dublin, an Irish musician and a Czech immigrant are drawn together by their shared love of music. Over the course of one fateful week, an unexpected friendship and collaboration quickly evolves into a powerful but complicated love story, underscored by emotionally charged music. Peter Rothstein directs Once with music director Jason Hansen and choreographer Kelli Foster Warder. This production will feature Twin Cities natives Ben Bakken (Five Points) and Britta Ollmann (Ragtime). Theater Latté Da announces ALL IS CALM: THE CHRISTMAS TRUCE OF 1914, the poignant docu-musical theatre work about the World War I Christmas truce, will receive it’s Off-Broadway debut at the Sheen Center for Thought & Culture in New York City November 9-December 30, 2018. Created and directed by Peter Rothstein, the a capella production which has become an annual holiday classic, is brought to life by a cast of 10 actor/singers and beautifully blends iconic WWI patriotic tunes, trench songs, medieval ballads and Christmas carols. This moving ode to peace is directed by Peter Rothstein with vocal arrangements by Erick Lichte and Timothy C. Takach. Twin Cities audiences will have the opportunity to see All is Calm at the Ritz Theater in a special one weekend engagement Nov 1-4, 2018 before its Off-Broadway debut. The production will be available as a season ticket add-on. Theater Latté Da continues its celebrated commitment to the work of Stephen Sondheim building on past productions including Sunday in the Park with George, Company, Into the Woods, Gypsy, Sweeney Todd: The Demon Barber of Fleet Street, and their hugely successful production of Assassins. Sondheim's A LITTLE NIGHT MUSIC, with a book by Hugh Wheeler, will begin performances January 23, 2019. Part comedy of manners, part sexual farce, this funny, elegant work inspired by Ingmar Bergman's period film Smiles on a Summer Night explores the tangled web of love affairs centered around actress Desirée Armfeldt. The musical features a romantic score, set entirely in 3/4 time signatures, including Sondheim’s most popular song “Send in the Clowns.” Sally Wingert (Sweeney Todd) stars as Desirée Armfeldt in Theater Latté Da’s production of this masterwork. Directed by Peter Rothstein with music direction by Jason Hansen. In an exciting collaboration and partnership with VocalEssence, Minneapolis' premiere choral music ensemble under the direction of internationally renowned conductor Philip Brunelle, Theater Latté Da is thrilled to announce a theatrical concert of Leonard Bernstein's CANDIDE. A tale exploding with star-crossed lovers, villains, Monty Python-esque comedy, and a beautiful score, Candide combines the power of opera with the delights of musical theatre. Wrapped in irony, this musical follows the optimistic young Candide in search of “the best of all possible worlds” on an extraordinary journey to reunite with his soulmate. An all-star cast will perform a theatrical concert version along with VocalEssence, allowing audiences to savor the epic beauty of Bernstein’s music. Twin Cities native Liv Redpath, a Domingo-Colburn-Stein Young Artist during 2017-18 season at the LA Opera, is Cunégonde and Bradley Greenwald (C.) is Voltaire and Pangloss. Candide will be performed at the Cowles Center for Dance and Performing Arts March 21-24, 2019. Performances will be available as a season ticket add-on. 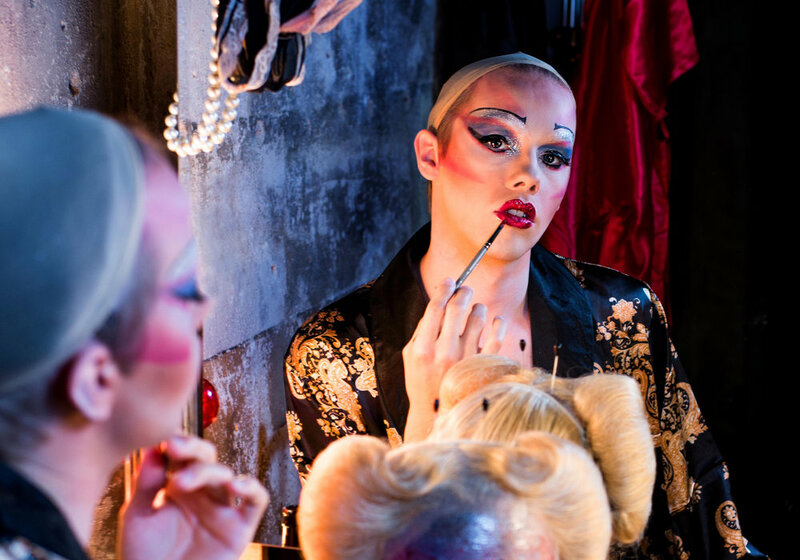 In the spring, Theater Latté Da brings the bold, heartbreaking, and wickedly funny, HEDWIG AND THE ANGRY INCH by John Cameron Mitchell and Stephen Trask to the Ritz Theater. “Groundbreaking and undoubtedly ahead of its time,” says Entertainment Weekly, this genre-bending, fourth-wall-smashing musical sensation, with a pulsing rock score and electrifying performances, tells the story of one of the most unique characters to ever hit the stage. Winner of the 2014 Tony Award for Best Musical Revival. Latté Da favorite Tyler Michaels (Assassins) stars in the titular role of Hedwig, and Meghan Kreidler (Man of La Mancha), Ivey award-winner for Emerging Artist in 2017, as Yitzhak. Performances for our final production of Season 21 begin May 29 with the world premiere of TO LET GO AND FALL by Twin Cities playwright Harrison David Rivers (Five Points). The play features original music by Minneapolis-based Jelloslave cellists Jacqueline Ultan and Michelle Kinney. Todd and Arthur are two former ballet dancers who reunite at New York’s Lincoln Center Plaza having not seen each other for more than 25 years. This beautifully-told story takes us through the lives of both men, their choices, their regrets, and their coming to terms with age, illness and sexual identity. Directed by Peter Rothstein, the production features André Shoals (Man of La Mancha) and Mark Benninghofen (Sweeney Todd). Season tickets are currently on sale; packages start at $110. Call the box office at 612-339-3003 or purchase online at Latteda.org. Theater Latté Da announces ALL IS CALM: THE CHRISTMAS TRUCE OF 1914, the poignant musical theatre work about the World War I Christmas truce, will have its off-Broadway debut at the Sheen Center for Thought & Culture in New York City, presented by Laura Little Theatrical Productions. Created by Peter Rothstein, the production will run from November 9 thru December 30, 2018. Visit Alliscalm.org for more information. features a newly-commissioned score by Frank London. Dan Chouinard and vocals by Natalie Nowytski. Performances begin May 30 at the Ritz Theater. Visit Latteda.org or call our Box Office at 612-339-3003. (Minneapolis/St. Paul) Theater Latté Da announces single tickets go on sale May 1 for Underneath the Lintel, starring Sally Wingert. As part of Theater Latté Da’s commitment to developing new works, this production of Glen Berger’s acclaimed play features original music commissioned by Latté Da from Grammy award-winning composer Frank London, founding member of The Klezmatics. Theater Latté Da Artistic Director Peter Rothstein directs the production with Music Director Dan Chouinard and vocalist Natalie Nowytski. Performances begin May 30 at the Ritz Theater (345 13th Avenue NE in Minneapolis). Single tickets go on sale May 1 and can be purchased at Latteda.org or by calling 612-339-3003. Underneath the Lintel chronicles the journey of a librarian who finds herself caught up in a cosmic puzzle that makes the Da Vinci Code seem like a game of hide and seek. A clue scribbled in the margin of a returned library book that is 113 years overdue leads her on an unforgettable odyssey that spans the globe and the ages. As the librarian travels around the world on her obsessive search, she finds herself unlocking ancient mysteries and new revelations about her place in the universe. Theater Latté Da is thrilled to bring together the talents of the Emmy award-winning playwright Glen Berger and the Grammy award-winning Frank London, who with The Klezmatics won a Grammy in Contemporary World Music. Berger has received commissions from the Children’s Theater of Minneapolis and Berkeley Repertory Theatre. He has written over a dozen plays including and co-wrote the book for Spider-Man: Turn Off the Dark, which appeared on Broadway in 2010. Frank London co-founded The Klezmatics in 1986. He plays trumpet and keyboard and sings with the group and has written many of the Klezmatics’ most popular songs. London has also added virtuosity to hundreds of concerts and recordings by everyone from John Zorn to They Might Be Giants, Mel Torme to Iggy Pop, Pink Floyd, Youssou N’dour, LaMonte Young, Allen Ginsberg and LL Cool J. Called the “mystical high priest of Avant-Klez jazz,” London has made 30 solo recordings and is featured on over 400 CDs. “When Peter Rothstein approached me with the idea of setting original music to this play that I thought I was done with fifteen years ago, and to commission my genius colleague and some-time collaborator Frank London to compose that music, I thought…hell yes,” says playwright Glen Berger. “All my plays are first inspired by music, and Underneath the Lintel was inspired particularly by certain Klezmer/Yiddish music from the 1920s and earlier. There’s no better artist on the planet to take my initial inspiration and run with it than Frank London. It’s a thrilling opportunity and I’m grateful to Theater Latté Da for making it possible." Underneath the Lintel features scenic design by Michael Hoover, costume design by Willene Mangham, and lighting design by Barry Browning. John Jamison and T. Mychael Rambo rehearsed “Five Points,” premiering this week at Theatre Latté Da. Photo by Brian Peterson. It’s not happening in the theater meccas of New York, London or Chicago. “Five Points,” a much-anticipated new musical about the cultural tensions between African- and Irish-Americans that gave rise to tap dance, will premiere Saturday at the cozy Ritz Theater in Minneapolis. “Five Points” represents a bold statement as the theater marks its 20th year. “We’ve certainly done big musicals before but this is hugely ambitious, in terms of the size of the cast, the scope of the story, and [the fact] that both music and dance are equal elements,” said Latté Da artistic director Peter Rothstein, who has overseen the show’s accelerated development over the past two years. Named for the seedy district of Manhattan that served as a gateway to poor immigrants and a refuge for ex-slaves, “Five Points” is set in 1863 as the Civil War raged. Lane is portrayed by Lamar Jefferson, part of the cast that premiered the musical “Girl Shakes Loose” at Penumbra last spring, while Ben Bakken, seen recently in Chanhassen’s “Grease,” plays Diamond. The creative team has exercised its artistic license to give body and soul to people about whom not much is known. The contests between Lane and Diamond took place in the 1840s, but dropping them “in the middle of the Civil War gives us a ticking time clock,” Lyons said. And although “Five Points” is history-based, it’s aimed at modern audiences. The music is “something that you could hear on the radio,” said Lyons. That’s also a central idea of “Ragtime,” the musical to which this show is inevitably compared. After a memorable Minneapolis staging of “Ragtime” in 2016, Rothstein did a version in Seattle last year, starring Lyons. “This is set 40 years before ‘Ragtime,’ but there are thematic similarities certainly, around issues of national identity and cultural clashes that led to the birth of new art forms,” the director said. While there are three principal narratives in “Ragtime” — around Jewish immigrants, African-Americans and WASPs — “Five Points” has only two. Even so, it is jam-packed, even epic in scale. “Each story line can easily be its own musical, and we’ve doubled them up,” said Latté Da’s new associate artistic director, Elissa Adams. The show has a high-gloss cast of 14 Twin Cities dancers, singers and actors — including Ann Michels, Dieter Bierbrauer, Thomasina Petrus and T. Mychael Rambo, fresh from playing The Wiz at Children’s Theatre — plus a five-piece band led by Latté Da’s musical director, Denise Prosek. Kelli Foster Warder, who choreographed “Ragtime,” is creating the tense, sometimes exultant dances. “We wanted to illuminate how he exploited marginalized talent,” said Rothstein. “We’re still finessing that.” The story line creates parallels between the way Barnum pitted groups against each other for money, and how the military created conflict by drafting Irish immigrants while refusing blacks. These lessons aren’t just historical, said Rothstein, referencing structural inequities that cause the poor and underserved to turn on each other. The highly celebrated docu-musical about an extraordinary moment in history will be presented at the Sheen Center for Thought & Culture produced by Laura Little Theatrical Productions. at the Sheen Center, New York City. Visit alliscalm.org for more information. (MINNEAPOLIS/ST. PAUL) Theater Latté Da announces ALL IS CALM: THE CHRISTMAS TRUCE OF 1914, the poignant musical theatre work about the World War I Christmas truce, will have its off-Broadway debut at the Sheen Center for Thought & Culture in New York City, presented by Laura Little Theatrical Productions. Created by Peter Rothstein, the production combines period songs and firsthand accounts of this remarkable event and has become an annual holiday classic. Since its premiere in 2007, the a capella production is brought to life by a cast of 10 actor/singers and beautifully blends iconic WWI patriotic tunes, trench songs, medieval ballads and Christmas carols from England, Wales, France, Belgium and Germany with texts written by more than 30 World War I figures. This moving ode to peace is directed by Theater Latté Da’s founding Artistic Director Peter Rothstein with vocal arrangements by Erick Lichte and Timothy C. Takach. ALL IS CALM premiered in a live radio broadcast on Minnesota Public Radio on December 21, 2007. ALL IS CALM recalls an astounding moment in history when Allied and German soldiers met in “No Man’s Land” and laid down their arms to celebrate the holiday together by trading carols, sharing food and drink, playing soccer and burying the dead. In some places the truce lasted only a night, in others it endured until New Year’s Day. Rothstein believes that music, an important part of life in the trenches, helped create a context that made the truce possible. “Music was the common language, and as winter set in, the men began to hold impromptu concerts, singing to each other across the battle fields, creating trust and a camaraderie,” says Rothstein. Since ALL IS CALM had its world premiere in a live broadcast on Minnesota Public Radio in 2007, the show has enjoyed global success with broadcasts on five continents through American Public Media and the European Broadcasting Union. The program has won awards including the Gold World Medal at the 2010 New York Festivals and the 2010 Gabriel Award, which honors works of excellence in broadcasting that serve audiences through the positive, creative treatment of concerns to humankind. ALL IS CALM has toured the United States for ten seasons, reaching more than 50 cities playing prestigious venues such as The Kennedy Center (Washington, D.C.), Cal Performances (Berkeley, CA) and the Metropolitan Museum of Art (New York). 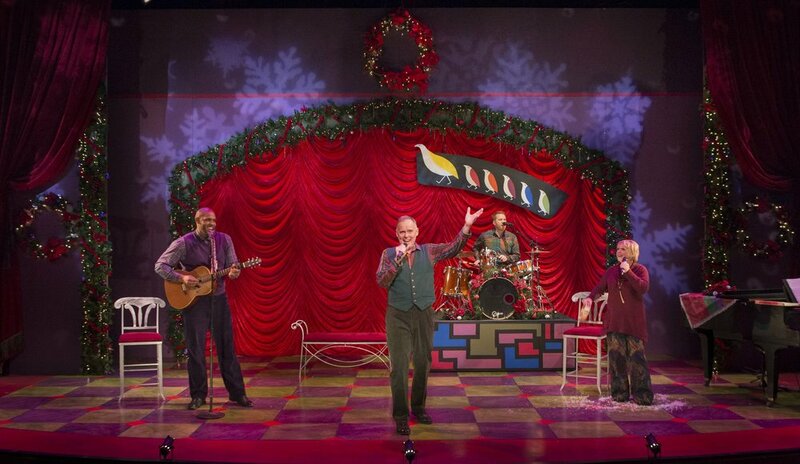 The work has also been licensed and performed by theater companies and choruses across the US and Canada. The Western Front, Christmas, 1914. Out of the violence comes a silence, then a song. A German soldier steps into No Man's Land singing "Stille Nacht." Thus begins an extraordinary night of camaraderie, music, peace. A remarkable true story, told in the words and songs of the men who lived it. Considered Stephen Sondheim’s most controversial musical, ASSASSINS provides a glimpse into the psychology of America’s four successful and five would-be presidential assassins. Dieter Bierbrauer as John Wilkes Booth, and Shinah Brashears as Lynette "Squeaky” Fromme. Performances begin February 7 at the Ritz Theater. Single tickets go on sale January 2; season tickets are on sale now at latteda.org or 612-339-3003. (Minneapolis/St. Paul) Theater Latté Da announces casting for the comedic and provocative musical ASSASSINS. Winner of 5 Tony Awards including Best Revival of a Musical, Assassins lays bare the lives of nine individuals who assassinated or attempted to assassinate the President of the United States, in a one-act historical "revusical" that explores the dark side of the American experience. From John Wilkes Booth to Lee Harvey Oswald, writers Stephen Sondheim and John Weidman, bend the rules of time and space, taking us on a nightmarish roller coaster ride in which assassins and would-be assassins from different historical periods meet, intersect, and goad each other to harrowing acts in the name of the American Dream. Theater Latté Da Artistic Director Peter Rothstein directs the production with Music Director Jason Hansen. Performances begin February 7 at the Ritz Theater (345 13th Avenue NE in Minneapolis). Single tickets go on sale January 2; season tickets are on sale now and can be purchased at latteda.org or by calling 612-339-3003. Set in an old-time carnival, Theater Latté Da invites patrons to arrive early and enter into an immersive experience with an hour-long pre-show carnival on stage. Audiences are encouraged to interact with the cast, enjoy food and drink, play vintage carnival games, and win prizes. “I was inspired to do Assassins in our 20th season by the political discourse over the past 18 months. In our last election, both ends of the political spectrum focused their messages on how government has failed the American people,” says Rothstein. “Sondheim gives us powerful portraits of people who feel so disenfranchised from the American promise that they turn towards violence. Doing Assassins now provides us with a way to ask the question: How might we pull ourselves and each other back from that kind of personal and political brink?" Peter Rothstein has assembled an all-star cast including Tyler Michaels as the Balladeer and Lee Harvey Oswald. Michaels has appeared in multiple Theater Latté Da productions including Peter and the Starcatcher, Sweeney Todd, and Cabaret. Dieter Bierbrauer, a Latté Da favorite (Oliver, Company), stars as John Wilkes Booth. Shinah Brashears (Latté Da’s GYPSY!, Into the Woods) is Lynette “Squeaky” Fromme. Eric Morris makes his Latté Da debut as Giuseppe Zangara. He was most recently seen in Old Log Theater’s Million Dollar Quartet. Several other cast members will make their return to Theater Latté Da’s most-anticipated production of the season. Sara Ochs (Man of La Mancha, Sweeney Todd) is Sara Jane Moore/Emma Goldman; Jim Detmar (Cabaret, Spring Awakening) as Samuel Byck, Rodolfo Nieto, who recently returned from the national tour of All is Calm: The Christmas Truce of 1914, is Leon Czolgosz, Evan Tyler Wilson, (All is Calm, Sweeney Todd) is John Hinkley. Ben Dutcher (All is Calm, Master Class) is featured as Charles Guiteau. Matt Riehle (Man of La Mancha, C.) is the Proprietor. Mario Esteb (GYPSY!) is Billy. ASSASSINS features scenic design by Eli Schlatter, costume design by Alice Fredrickson, and lighting design by Marcus Dilliard. MINNEAPOLIS, MN December 11, 2017 – Theater Latté Da (TLD) announces Michelle Woster will be joining the company as Managing Director. As Latté Da continues to expand its commitment to developing new musical theater works, re-imagining work from the canon, touring its original work across the country, and managing the Ritz Theater (the company’s new home in northeast Minneapolis), increased staff capacity was needed to support the efforts. Woster was hired as the first managing director of Ten Thousand Things in 2003, where she worked for ten years with the company’s small staff and board to grow this locally-recognized treasure into a leader on the national theater scene. For the past four years she held senior development positions at the Center for Victims of Torture and The Family Partnership. Woster holds a B.A. in English from The University of St. Thomas and a M.P.A. from The University of North Carolina–Chapel Hill. Michelle lives in Northeast Minneapolis with her husband Peter Quale and their three children. Woster will oversee all business aspects of TLD with a primary focus on development and operations. “I am excited to start meeting many of Latté Da’s donors and patrons who have carried the company to its 20th season, and to build new relationships with theater enthusiasts looking to invest in the creation of new work and the artists who will bring those stories to life,” said Woster. In an effort to seek out new projects and writers, maintain a presence at new work festivals, and support the future development and production of Theater Latté Da’s NEXT Festival, the company’s new works festival, TLD has created the new position of Associate Artistic Director, which will be filled by Elissa Adams. Adams has spent her career developing new work. In her 19 seasons as Director of New Play development at Children's Theatre Company, she commissioned and developed more than 45 new plays and musicals that premiered at CTC and went on to productions across the country. She was Literary Manager/Dramaturg at La Jolla Playhouse and Director of Playwright Services at The Playwrights' Center, where she oversaw the Center's Jerome and McKnight Fellowships and served as Artistic Director of PlayLabs. She is a frequent dramaturg at the Sundance Theatre Lab, an Adjunct Professor at MCAD, a recipient of the McKnight Theatre Artist Fellowship and a former Board Member at Open Eye Figure Theatre and TYA/USA. She holds an MFA in Dramaturgy from UC San Diego. Theater Latté Da is currently presenting A Christmas Carole Petersen at the Ritz Theater, running through Dec 30, and will open Stephen Sondheim’s Assassins on February 10, 2018, and the world premiere of Five Points opening on April 6. In 2013, TLD launched the NEXT Festival, inviting audiences to participate in the generative creative process of creating a new work. Each year three new musicals or plays with music receive a two-week workshop and two to three public readings. In 2015, TLD expanded on our commitment to playwrights, composers, and lyricists, and launched a robust new works initiative called NEXT 20/20. The initiative will develop 20 new musicals, or plays with music, over a five-year period, and will shepherd many of them to full production. The goal of the endeavor is for the artists to receive the resources, time, and space needed to think big, to explore new ideas, and to discover the best course of action to move their work forward. Founded in 1998, Theater Latté Da (TLD) is in its 20th season of presenting original and re-imagined musical theater. Theater Latté Da seeks to create new connections between story, music, artist, and audience by exploring and expanding the art of musical theater. TLD is dedicated to expanding the American Musical Theater with work that speaks to a contemporary audience. Theater Latté Da has fostered innovation and diversity since its conception. We believe in work that is bold and collaborative; we act with integrity and gratitude. These values are integral to the organization’s health and drives the discussion at every stage of decision-making. Through productions that transcend the conventional, the organization helps solidify the Twin Cities’ reputation as a place where progressive art plays a vital role. Theater Latté Da is the only nonprofit professional theater in the Twin Cities that exclusively produces musical theater. Since its inception, TLD has presented 70 Mainstage productions, including ten world premieres, and ten area premieres. Each has garnered critical acclaim and earned its artists and TLD a host of awards, including: seven IVEY Awards for overall excellence, National Endowment for the Arts, the Gabriel Award for Broadcast Excellence, and the American Theater Wing National Theater Company Award. In addition to our Twin Cities presence, TLD’s original production All is Calm: The Christmas Truce of 1914 is celebrating its 11th anniversary with a national tour to 16 cities, ranging from New Jersey to California and Wisconsin to Florida. TLD’s provocative staging of Ragtime was remounted at the 5th Avenue Theatre in Seattle, Washington in October 2017, and will be remounted at Asolo Repertory Theater in Florida in May 2018. Since 1998, TLD has performed in venues throughout the Twin Cities, ranging from the intimate 120-seat Loring Playhouse to the Pantages Theater in downtown Minneapolis. To deepen our relationship with Twin Cities audiences and to better reach the communities we serve, Latté Da decided to make a permanent home in northeast Minneapolis. In 2016, TLD became the proud owner of the historic Ritz Theater, a 234-seat theater with administrative offices, rehearsal space, dressing rooms, and box office.